You may have seen the news regarding the issue at the Telstra exchange today, and unfortunately our phone lines are among those affected. Internet and e-mails all appear to be fine though, so please use info@openshutters.com.au should you wish to contact us. Hopefully normal service will be resumed shortly. 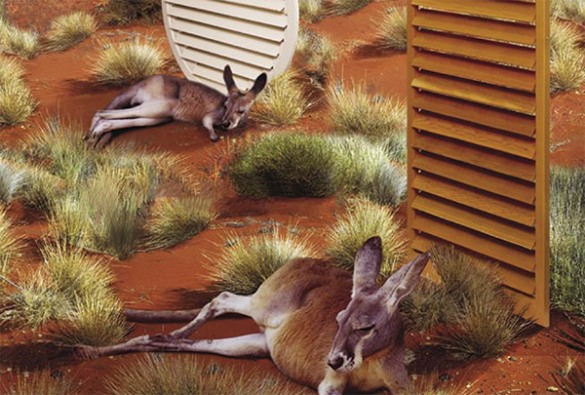 We will be closed for both Australia Day and Friday 27th January. We hope everyone has an enjoyable Australia Day, whatever you are up to. We will be back to normal working hours from Monday 30th, making your beautiful custom-made shutters. 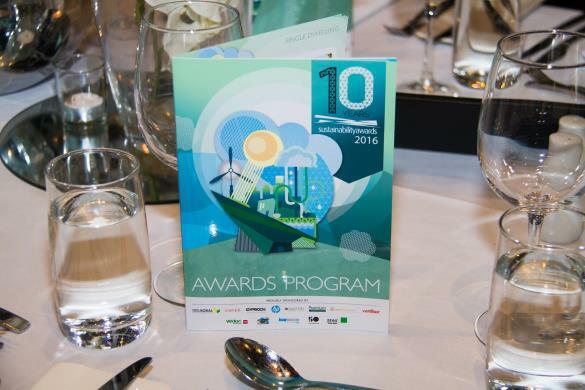 OpenShutters was pleased to play its part in supporting the recent Sustainability Awards night in association with Architecture & Design. The event, held at Doltone House in Sydney, was celebrating its 10th year, and we were proud to sponsor the Single Dwelling (Alterations and Additions) category, won by Victoria-based Guild Architects. 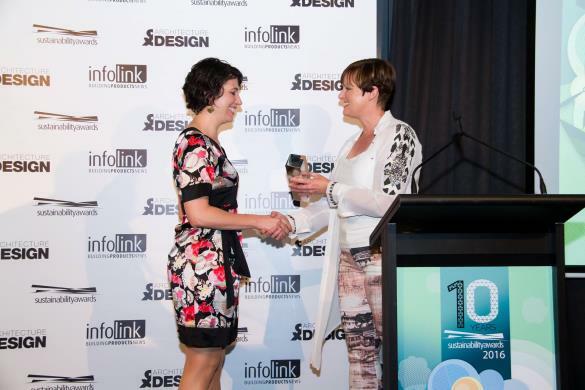 Director Penny Guild is pictured below receiving the award from Gail. Congratulations to all involved in the various projects. Being custom made, everything about our product is tailored to what a customer wants and how we can best achieve this. A couple of our recent projects have included Western Red Cedar shutters with unusually dark finishes. If you can imagine it, we can create it……….. It isn’t by accident that our signature product range is called the “Ultimate” range. It culminates over 25 years’ worth of continued innovation and improvement. 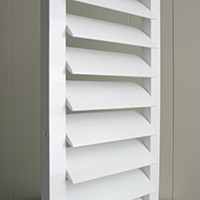 Custom made and designed with purpose and functionality in mind, an Ultimate shutter has (like our company) been proven to stand the test of time. 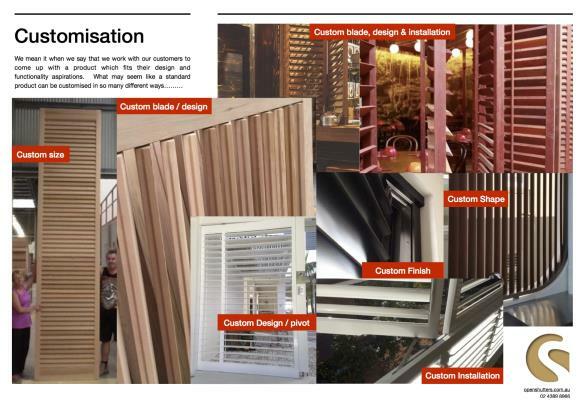 Cut from solid pieces of timber, not laminated nor finger-jointed like other products found in the market, our shutter components are of the highest grade, while our craftsmanship ensures a complete package, from initial design through to installation. A recent testimonial received through one of our distributors thanked the team for the care and attention shown, having understood that there were some design challenges in the process. The customer was really happy with the quality of the product and our patience in achieving the end result. We say it, we mean it, and we do it. Architects and designers are consistently coming up with innovative designs which present challenges for those tasked with coming up with answers. At OpenShutters, we embrace such challenges, and throughout the years have overcome many issues by thinking outside the box when suggesting bespoke solutions. 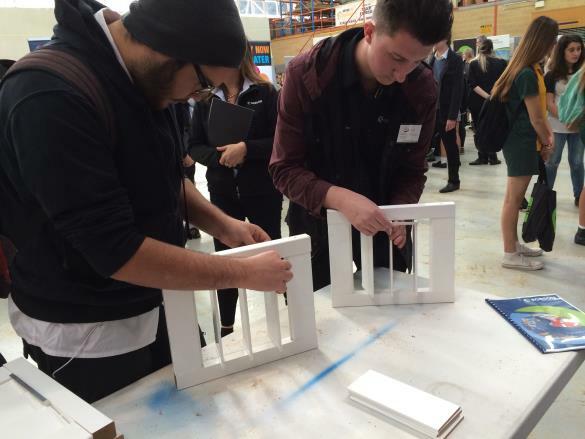 OpenShutters is a firm believer in businesses continuing to provide opportunities for young people, which is why a large percentage of the team which produces our custom made shutters is made up of apprentices. Our apprentices, in conjunction with Central Coast Group Training, are schooled in the detailed craftsmanship and finishing techniques on which our product stands. 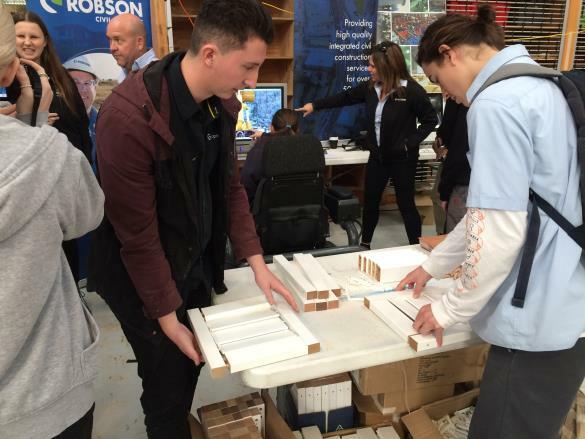 We were also delighted to be invited to take part in the Central Coast’s recent “Try a Skill” day which took place at the Ourimbah campus of the University of Newcastle. 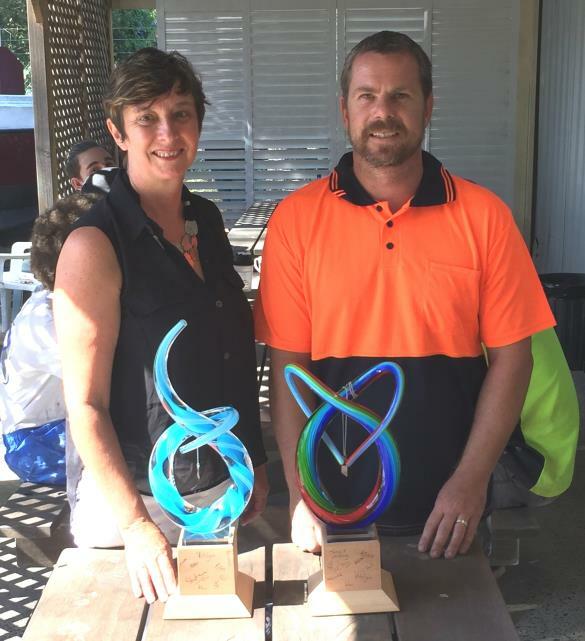 Gail and our newest apprentice, Keller, took part in the event which is targeted at school students from 26 Central Coast schools, and drew around 400 participants throughout the day. Shutters are often thought of as an efficient way of blocking out heat from your home during the summer, but there’s also the (often understated) benefit of insulation from the cold as well. As we enter the winter months, it is worth revisiting this infographic to be reminded of how crucial openings are in retaining warmth in your house. Although we started in the Blue Mountains, OpenShutters moved to the Central Coast of New South Wales at the very end of the 1995 calendar year, and have been designing and manufacturing our custom made shutters here ever since. We are delighted to recognise the contribution of two of our longest serving staff members, Lesley McLaren and Tony McDonald, both of whom celebrate 20 years with OpenShutters this month.